We've had a bouncy castle from Lily's twice now, they have always been there promptly when they said they would, the castle so have been great and the kids have absolutely loved them!! I have no hesitation in recommending them and will definitely be using them again in the future! I hired a hot tub from Lily her partner came and put the hot tub up and everything we did nothing was so easy from booking to having the hot tub. We also hired a bouncy castle last year they where on time and said we would have it all day which we did ! I Would highly recommend these for any party needs. 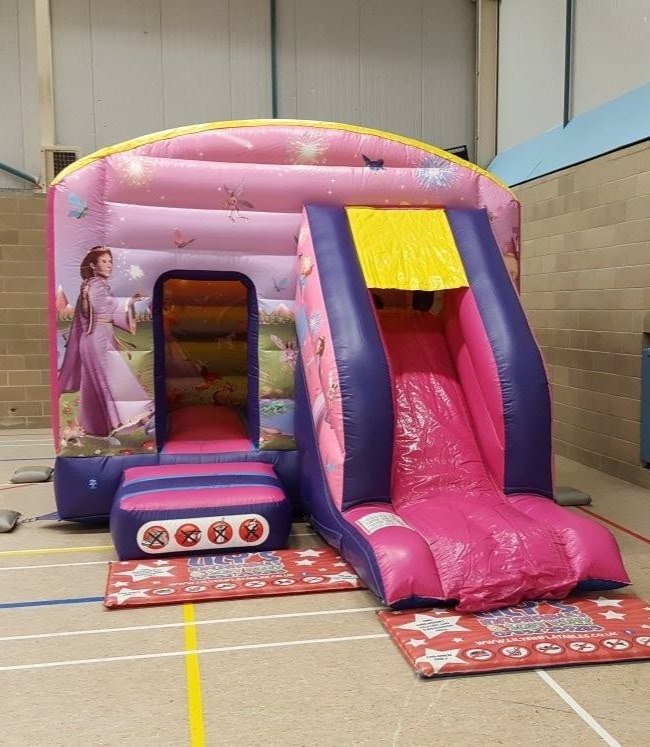 This Bouncy Castle is Available for hire in Suffolk,Cambridge Newmarket, Mildenhall, Burwell, Exning, Soham, Ashley Green and surrounding areas. The Princess Bounce n slide Bouncy Castle has been a huge success at many Princess themed parties.